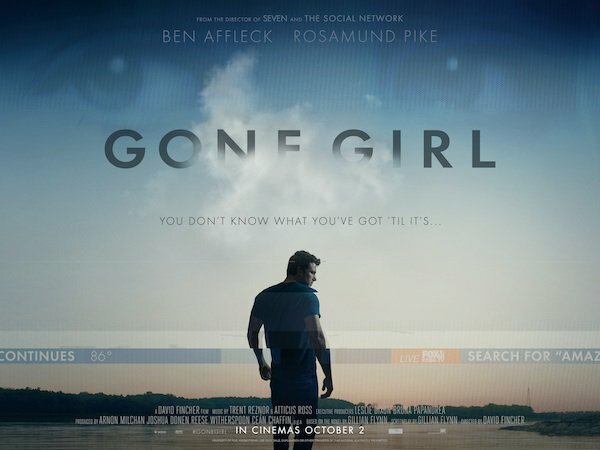 Winnipeg and Mennonites in Gone Girl Movie | What Next? It is important that Amy remain incognito so Desi tries to throw the man off by lying and assuring the fellow there is no way he can know Amy because Amy comes from…………..( Desi quickly thinks of the most obscure place he can)…….. Winnipeg. As a Mennonite and a Winnipegger I object to the way both Mennonites and Winnipeggers are portrayed in Gone Girl. The movie implies Winnipeg is some insignificant out-of-the-way place no one has heard of and that all Mennonites are conservative, straight-laced and plain. Nothing could be further from the truth in both cases. Other posts about Mennonites, Winnipeg and movies……..
Gabe I just looked up My Old Lady. Looks intriguing. Gone Girl got much better ratings on Rotten Tomatoes from both critics and audience if that makes a difference. I think I’d have liked Gone Girl more if I hadn’t read the book. If you haven’t read it I’d recommend it. There was quite a reaction (laughing) in the audience when Winnipeg was mentioned. I saw it at the Cinemplex Odeon on McGillvery. Did the audience react in your theatre too? (Just realized you might not be from Winnipeg or have seen the movie in Winnipeg.) Maybe I’ve been jaded by many years of living abroad. Very few people I met had ever heard of Winnipeg. I live in Montreal now, so no reaction in the cinema. As you say, in other countries very few people have heard of Winnipeg, but how many medium-sized cities of 700,000 people in foreign countries have people generally heard of?